Christmastime in the Caribbean is warm and wonderful. There’s something extra special about sailing through the Med when there’s sleet and slush filling the streets back home. But this time of year – at least for those of us in the Northern Hemisphere – isn’t like that. It’s hot. It’s muggy. Venturing out to mow the lawn is a feat of bravery, best attempted only with an assurance of cold lemonade (or something equally refreshing) waiting at the end. So what’s a cruiser to do? Forget the sun and sand and just chill out! Here are our five coolest cruise destinations to beat the summer heat. Northwest Passage. In the 1800s, no one was sure a ship could even sail the frozen seas north of Canada from the Atlantic to the Pacific. By August 2007, global warming opened the Northwest Passage to ships without need of an icebreaker. In 2012, The World became the largest passenger vessel to sail from Alaska’s Bering Strait to Baffin Bay off Greenland. 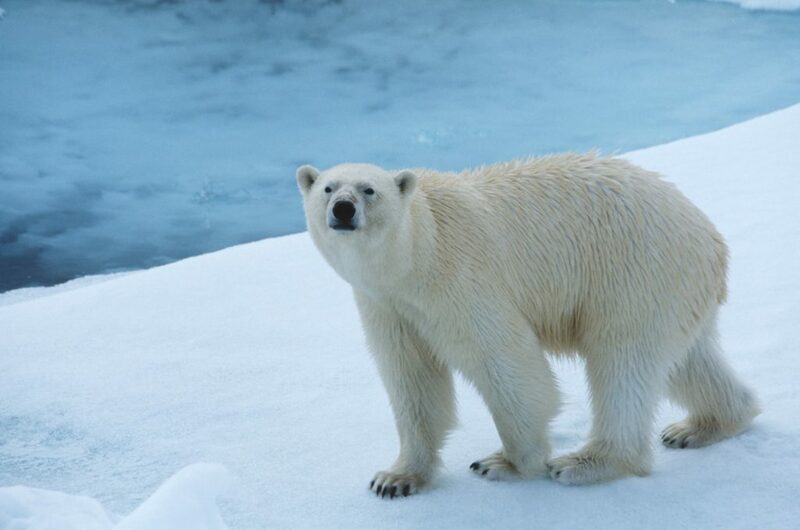 And last week, Crystal Serenity announced a 32-day itinerary through the land of icebergs, narwhals, and polar bears. Polar bears! Alaska. The Great Land has fjords, glaciers, and miles of wide, open spaces. 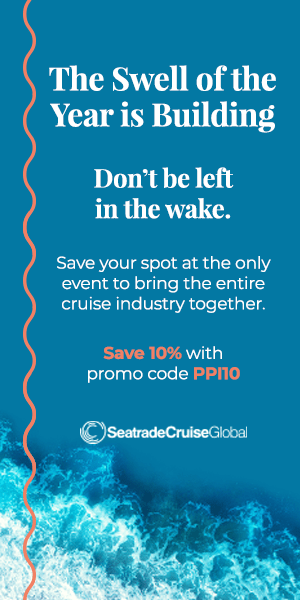 It’s become one of the world’s top cruise destinations, hosting everything from Disney Cruise Line’s family-friendly dog-sledding excursions and Holland America Line’s Glacier Bay trips to Crystal Cruises’ luxury expeditions to Juneau, Anchorage, and tiny Dutch Harbor. On August days, the highs might reach into the 70s – and the sun shines for around 15 hours. The old joke is that Iceland is the green one and Greenland is the icy one. It’s considered part of the Kingdom of Denmark, but is also the third largest country in North America, and is breathtakingly beautiful. Want to see for yourself? 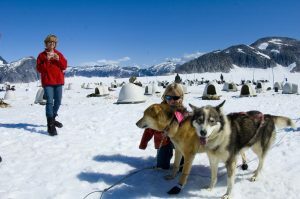 Check out lines like Lindblad Expeditions and Hurtigruten, which sail regularly to the Land of the Midnight Sun, where average summer temperatures rarely exceed 50˚ F, and where the Arctic wind of Disko Bay turns free-floating ice into natural sculptures. Ushuaia. Possibly the southernmost city in the world (there’s some competition from neighbors) and definitely the southernmost cruise port, this is the gem of Tierra del Fuego. It’s surrounded by lakes, forests, glaciers, and mountains, and is home to a gorgeous national park and the historic “Train of the End of the World.” At a mere 625 miles north of Antarctica, Ushuaia has the same climate as Reykjavik … only right now, it’s winter there. From November to May, though, this is a hot destination, visited by ships from Azamara Journey to ms Zaandam. Antarctica. It doesn’t get any colder than this – not on this planet, anyway. This is a dream destination for those who like extremes. 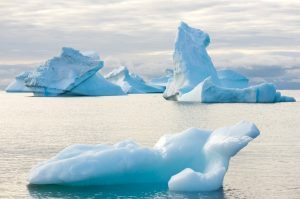 Even in summer (which, in the Southern Hemisphere, is December to March), the temperature ranges from -14.8 to 26.6˚ F. Still, expedition lines such as Abercrombie & Kent and luxury lines such as Seabourn make it possible to check this one off your bucket list. Some even offer overnights at research stations or, for the truly intrepid, Quark Expeditions offers camping, yes, in tents.